The Iron Lady of Asia, Miriam Defensor Santiago, died in her sleep this morning, according to her husband Narciso Santiago. The former senator reportedly died peacefully at 8.52 A.M. today, September 29. 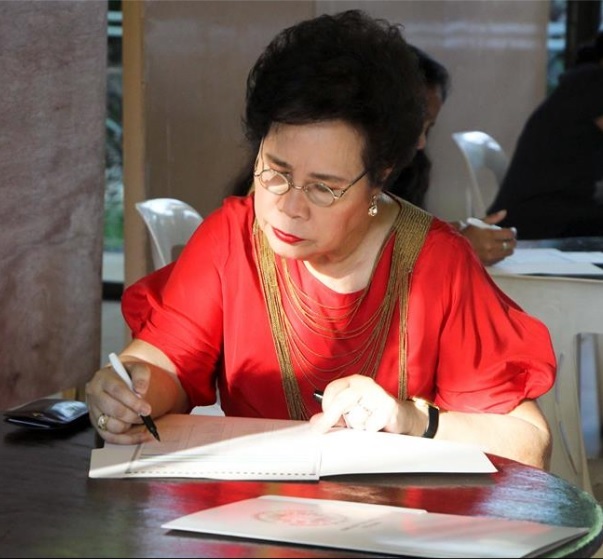 Sen. Miriam has been battling cancer for the past few years. She announced she had stage 4 lung cancer in July, 2014. Since then, the senator had been in and out of the hospital for her cancer treatment. She also participated in a clinical trial for a new anti-cancer pill in March of this year, for which she had to skip the second leg of the Presidential debate in the recent national elections. The reaction to Miriam's death among netizens was overwhelming. As soon as news of her death broke out, Twitter was flooded with words of condolences and praises for the the lady senator's work as a statesman. At one time, 6 of the top 10 trending topics pertained to her death. A lot of Filipinos have expressed the thought that she could have been a good President and the phrase "the best President we never had" was repeated in the thousands. Miriam came in 5th during the elections, garnering more than three (3) per cent of the votes. She ran with VP candidate Bongbong Marcos, who also lost in the recent national elections. RIP, Senator Miriam Defensor Santiago, the country will surely miss you.